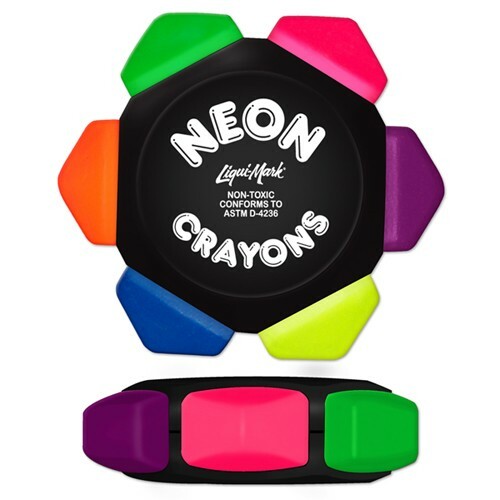 Liqui-Mark® Fun Crayon™ five color crayon offers the advantage of a box of crayons in one easy-grip toy! 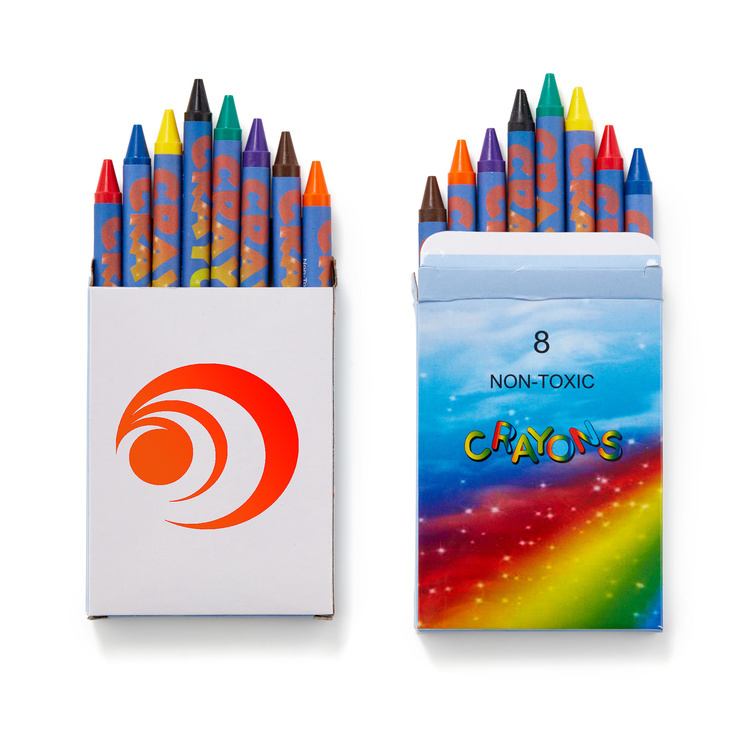 Fun Crayon is non-toxic and perfect for creative little hands at home, at school, or on the go. 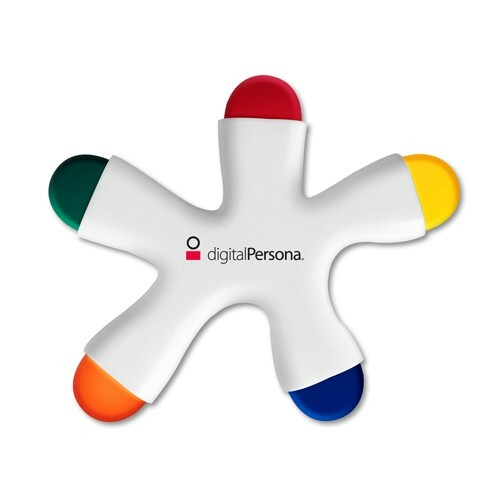 Great for a restaurant promotion. 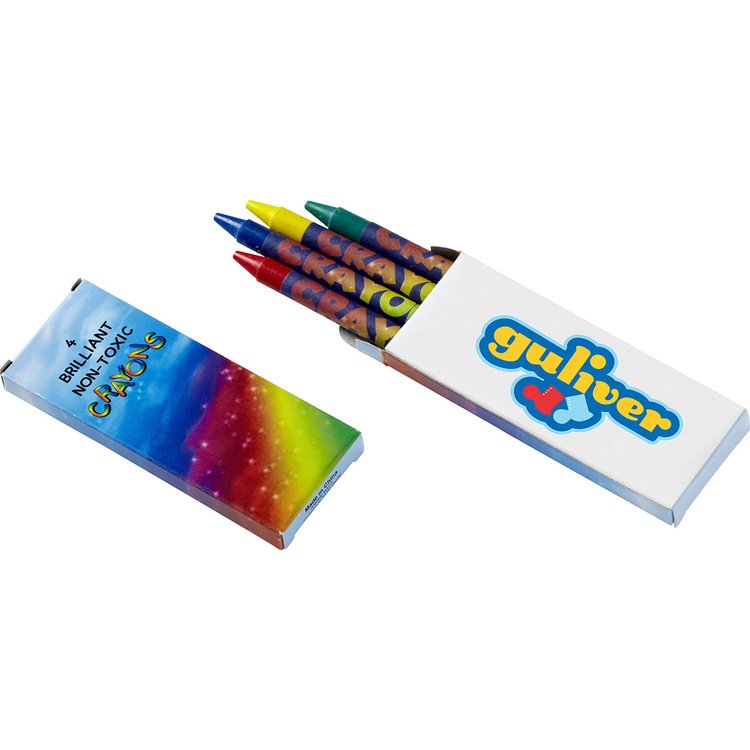 Multi-Color imprint available on up to two sides! 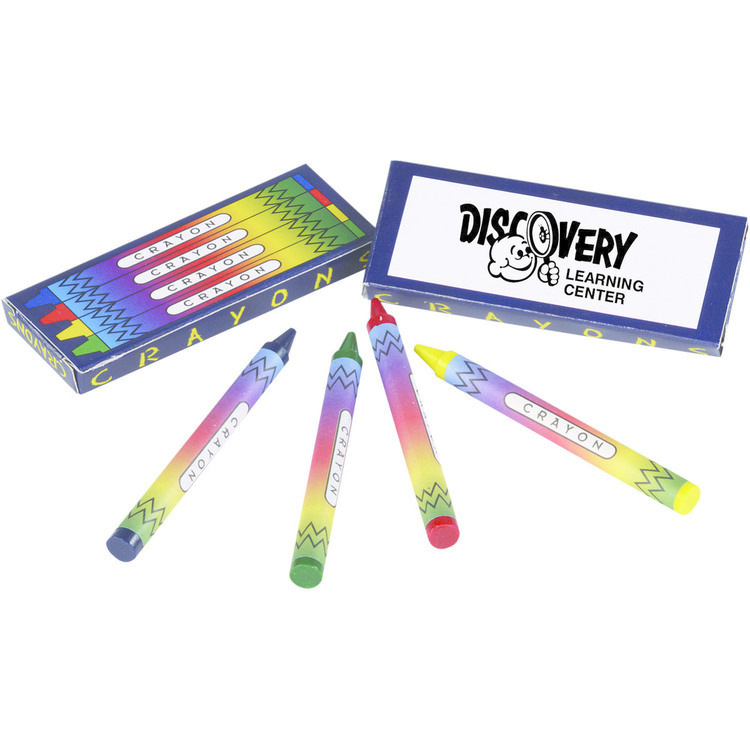 WINNER OF THE COUNSELOR MAGAZINE 2010 PRODUCT DESIGN AWARD FOR THE WRITING INSTRUMENT CATEGORY!!! Non-Toxic, Conforms to ASTM-D 4236. Patent Pending. Three count economy package. 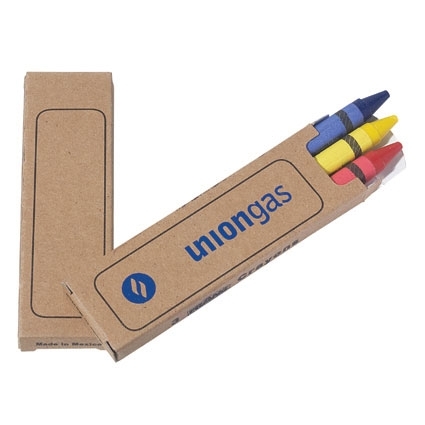 Red, yellow and blue crayons. Generic package design allows for maximum imprint area. 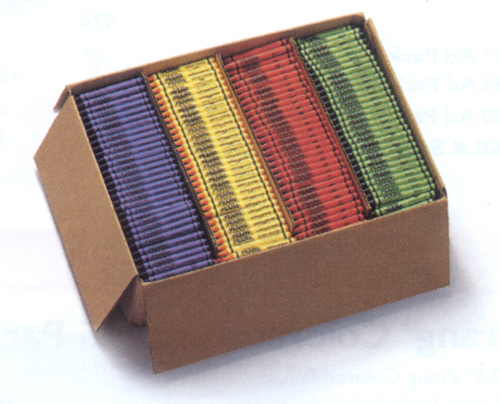 Brown kraft box emphasizes and economical features. Certified non-toxic and guaranteed safe. 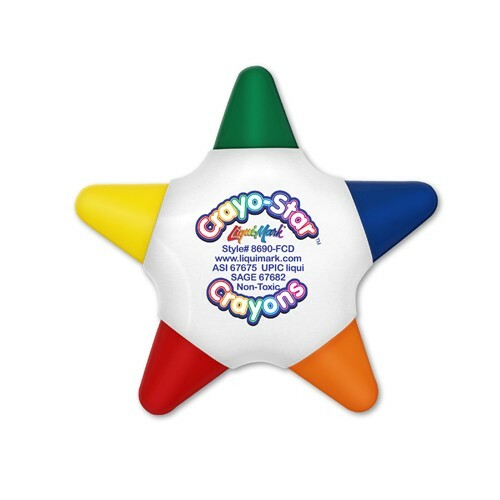 Ideal children’s giveaway for Utility Companies, Restaurants and more. 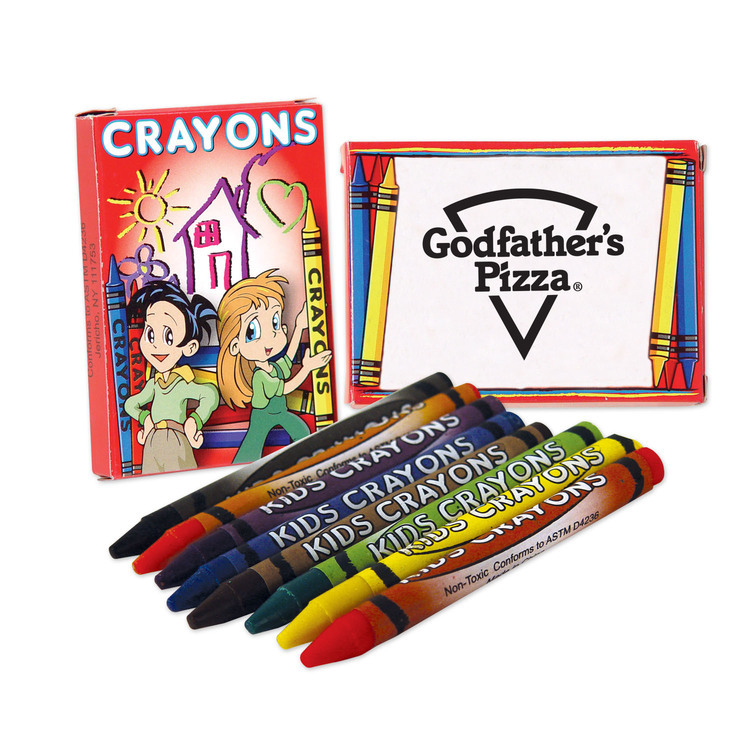 Explore where your brand can go when you delight customers with this 8 count crayon pack! 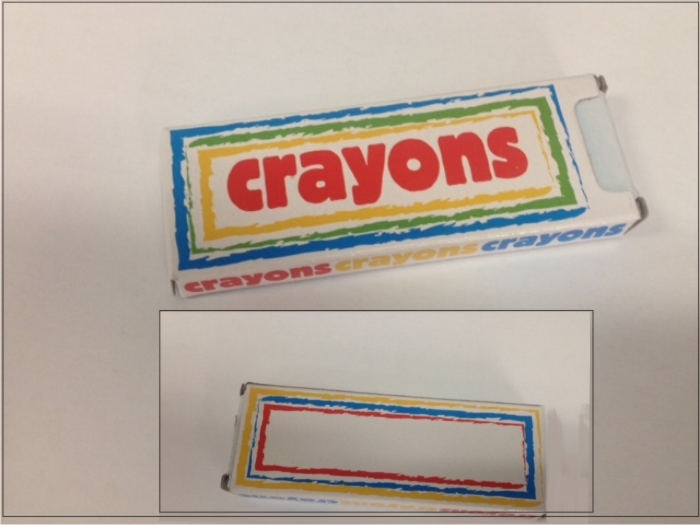 Inside of a box measuring 2 3/4" x 3 5/8" comes eight crayons which are full of color and perfect for kids. 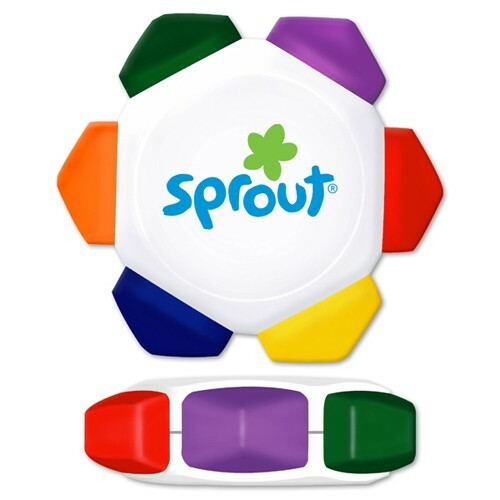 You can give these out at fairs, festivals, or even at restaurants to focus kids' attention while waiting for food. Their parents will thank you for it! 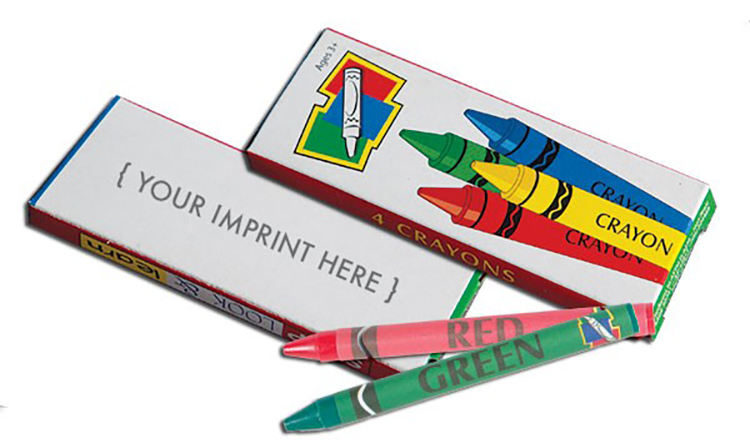 Add your company name or logo with one of our imprint methods and open new doors for your business! Safe and non-toxic. 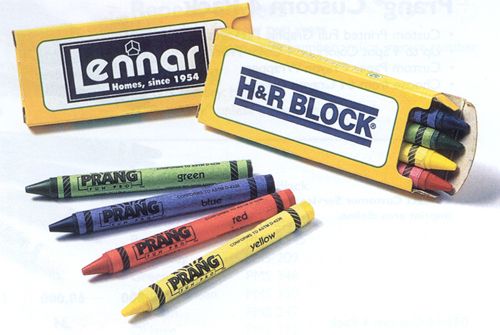 Note: Stock package designs for crayons might change at any time. If the exact design is important, please notify factory in advance and mark order so current sample can be furnished. 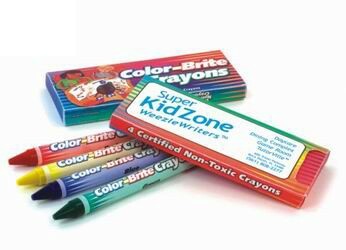 Environmentally friendly crayons are made with Soybean Oil and come in 100% recycled 4 count box. 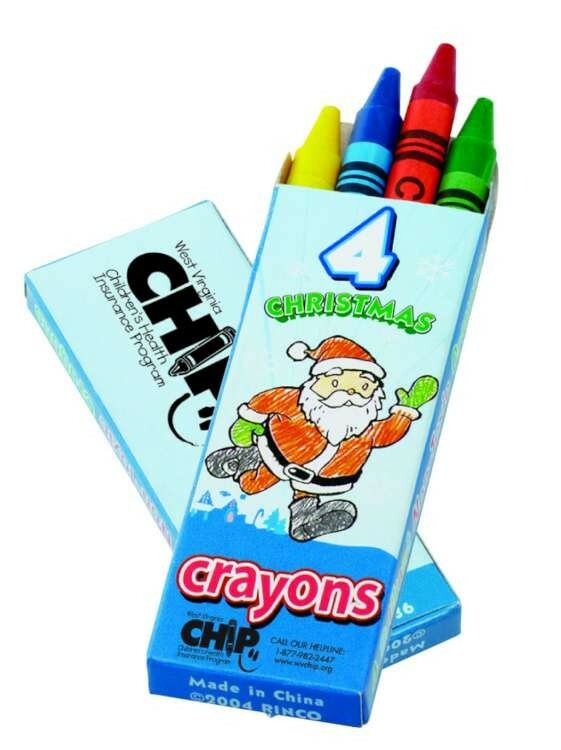 Red, yellow, blue and green crayons. 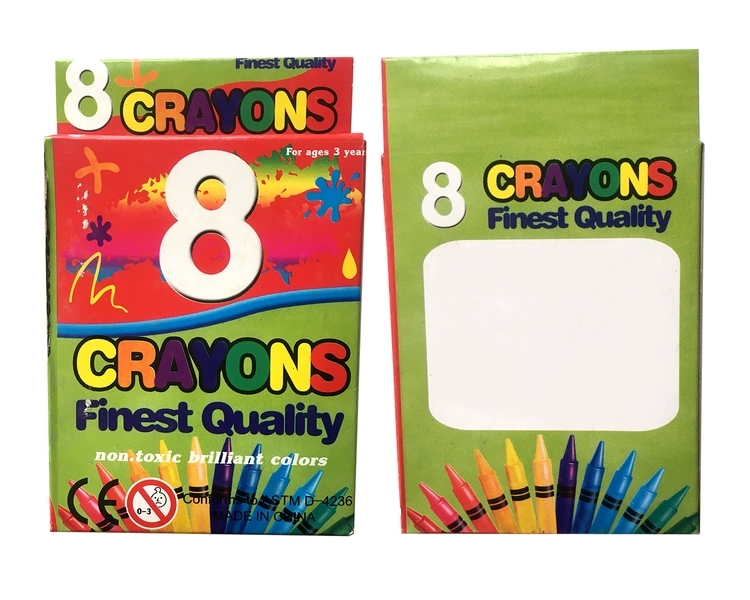 Package design includes consumer- recognized, school-preferred brand to emphasize quality. Certified non-toxic and guaranteed safe. Ideal children’s giveaway for Dentists, Hospitals, Recycling/Waste Management Programs, Police & Fire Safety Programs and more.